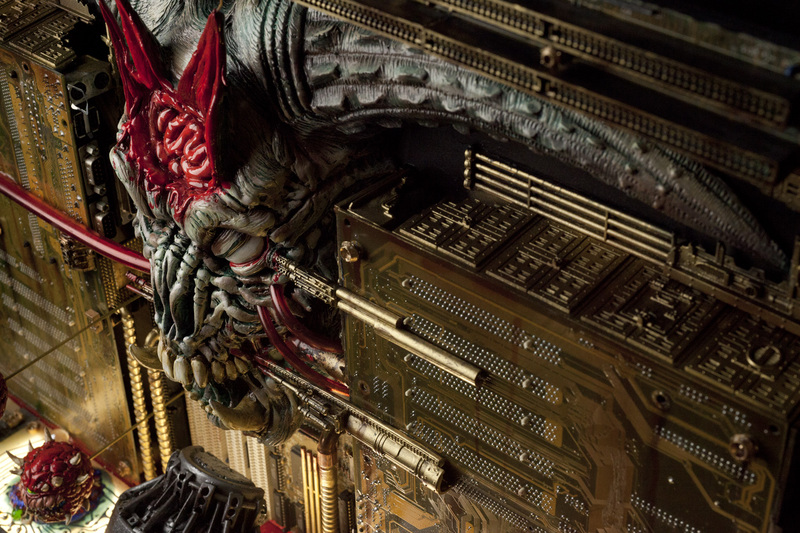 Artist Jason Hite has created a sculpture based on Doom II's Icon of Sin stage. 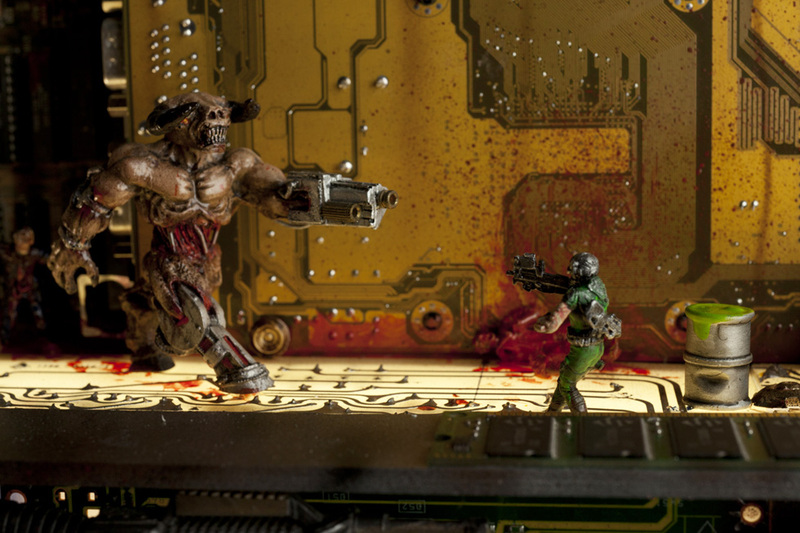 On any list of all-time great shooters chances are there's going to be some spot reserved Doom II. One of the genre's undeniable classics, it's a game that dug its claws into countless players and, for many, never let go. 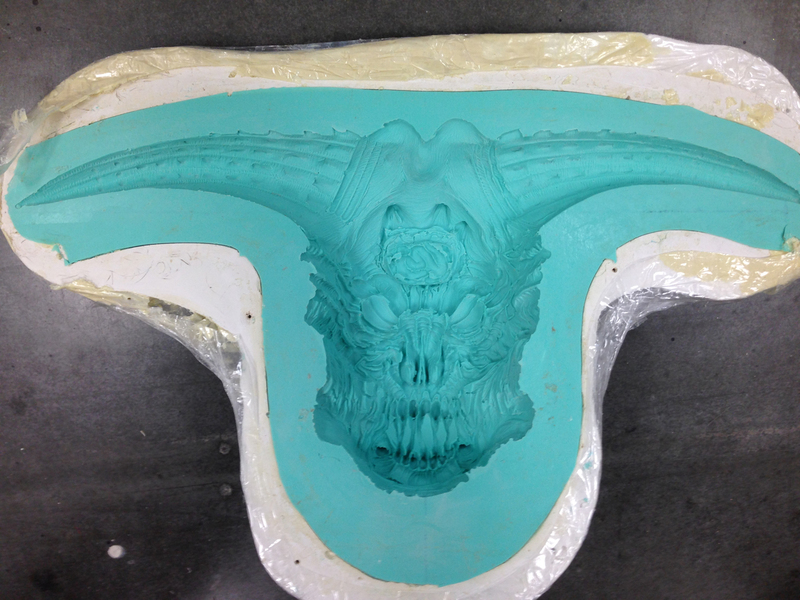 Case in point, artist Jason Hite recently finished work on a Doom II sculpture based on the game's Icon of Sin level. 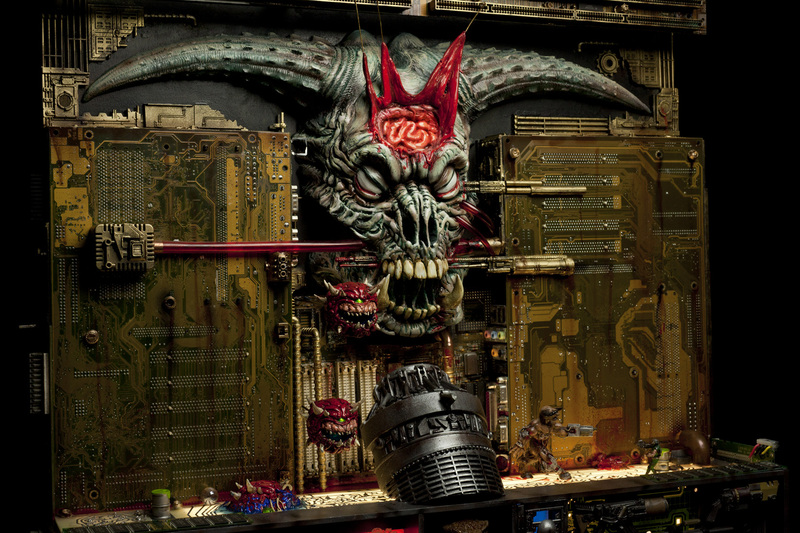 Hite's sculpture was inspired by "those fun nights playing Doom with my roommate." 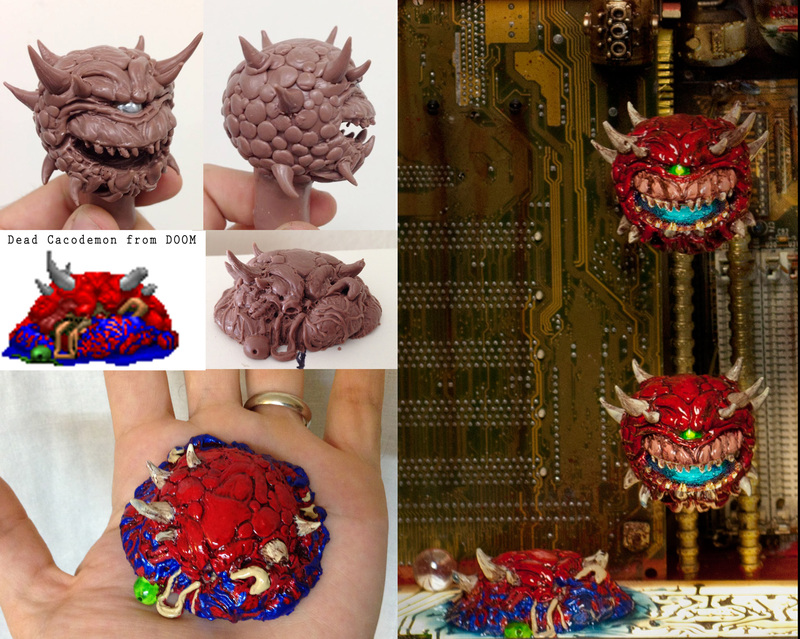 Made over the course of several years, it began with a single Cyberdemon miniature which quickly expanded into an all out quest on Hite's part to craft an entire "environment for the evil little cyborg." 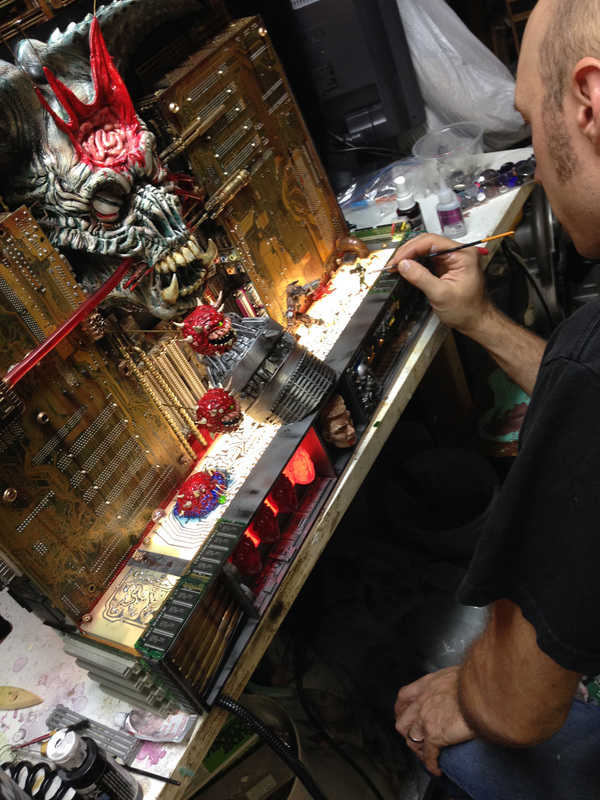 Over the course of several years, Hite then pieced together his creation using pieces he built from scratch as well as things he found. Several chunks, for instance, are made from circuit boards recycled from old computers. He also integrated guns from Quake action figures and modified HeroClix figures. The end result is a sculpture that remains faithful to the style and visuals of its source game while also taking some appropriate liberties for the sake of art. 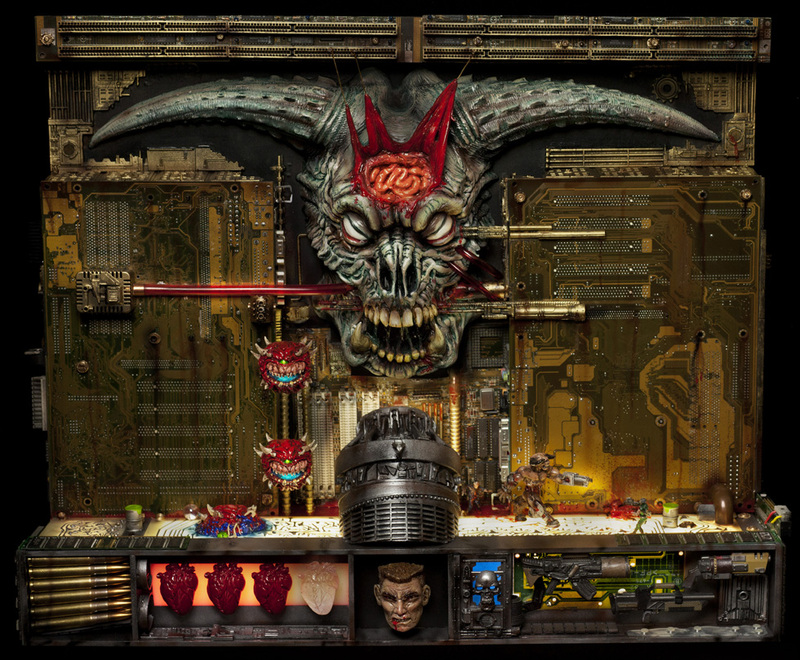 For instance, Hite had originally intended to rebuild a totally accurate version of the game's HUD but eventually decided to make some changes when he realized that it might not translate into something as visually interesting as he wanted it to be. In turn, he exchanged the numbers and percentages employed by the game itself for hearts inspired by the game Splatterhouse. These hearts were built in Super Sculpey. 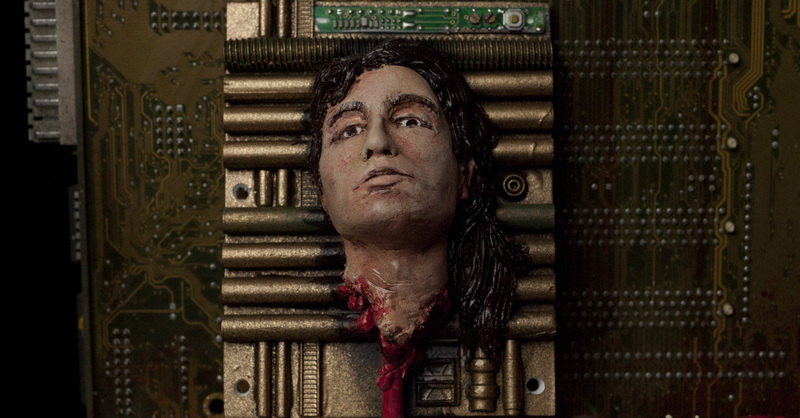 Additional custom pieces (including John Romero's decapitated head) were created using Monster Clay and Magic Stick. The sculpture also has built in 27 LED light fixtures. Gamers interested in checking out Hite's work for themselves will be able to see it on display at the Copro Nason Gallery in Santa Monica, California until November 8th. Fans interested in giving it a more permanent home meanwhile, can purchase it for $6,000.